If you have the time or budget to use SEO in conjunction with social media optimization, doing so will allow you to reach the broadest possible audience. If your time and budget limit put you in a positon of having to choose, here is some information that will help you do so intelligently. 5. What about forecasting? Readily available tools such as the Google Keyword Planner allow you to easily see the average monthly search volume for keywords. Using industry averages, you can take the search traffic and accurately estimate total site traffic for a new campaign. 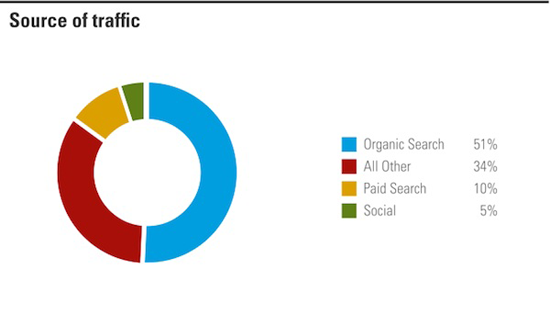 Unfortunately, traffic forecasting is not easy to do for a new social media campaign. 6. What about YouTube? Many of you already know that YouTube is the second largest search engine. While some may argue that YouTube is a social site, SEO is a powerful way to market videos as well. If you are not familiar with YouTube SEO, you can learn more about that in our recent post covering how to generate quick search traffic. Again, social media can be a great addition to a comprehensive marketing plan but if you are looking to maximize your ROI on every marketing dollar spent, SEO is where you should be investing. Travis Bliffen is the founder of Stellar SEO, a digital marketing agency specializing in search engine optimization. If your business is ready for more leads and sales, it’s time to get #stellarized. Connect with him on Twitter @theseoproz or Facebook.